December 22, 2015 When it comes to packaging – plastic is the environmental material of choice. Plastic products are environmentally-friendly, and manufacturers who produce these versatile products take pride in their efforts to implement sensible green policies and procedures. November 20, 2015 When you see a big red “STOP” sign, your first thought is “STOP!” But have you ever wondered what the sign is made out of? Or how the contents may affect you? Take a second and think about how many “STOP,” “YIELD,” “DEAD END” and countless other varieties of small, pole-mounted road signs you see on your daily commute; almost all of these are made of aluminum, though that might not be the case for much longer. October 22, 2015 There’s a lot of data illustrating recycling’s economic viability, environmental bona fides and overall growth out there. We’ve collected some of it here for the benefit of naysayers and true believers alike. July 31, 2015 An environmental problem of the seriousness and enormity of marine debris can easily overwhelm companies and individuals into inaction. “I’m just a small manufacturer,” you can hear a business owner saying to themselves. “There’s very little I can do to make a difference.” It can be easy to slip into this mentality, but the truth is that the small steps we all take add up to a much bigger, positive effect. This is true about all large-scale issues, including marine debris. July 30, 2015 The U.S. Department of Agriculture recognized SPI’s Bioplastics Division (BPD) recently for its contributions to a new report detailing the state of the American bioeconomy. For bioplastics specifically, the report indicates that bioplastic bottles and packaging contributed 4,000 jobs and $410 million to the U.S. economy in 2013, and that investments in the sector yield outsized results elsewhere in the supply chain. July 27, 2015 Imagine a home that produces its own electricity. At times it may use some energy from the power grid, and at times it may give some back. But in the end, the give and take balance out. We actually do not have to imagine, because these homes already exist. And plastics play a fundamental role. 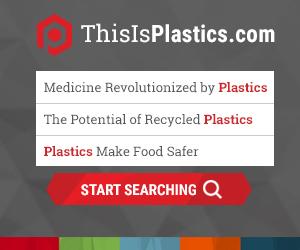 July 15, 2015 SPI: The Plastics Industry Trade Association is pleased that Robert Griffin III is taking an active interest in the health of our oceans. As the nation’s third largest manufacturing industry, we also care about the oceans and consistently take part in programs designed to prevent the loss of our raw materials and end-user products to the waterways. June 26, 2015 Spend all the money you’d like on machinery, collection bins and other pieces of recycling infrastructure; they won’t be worth much if people don’t fill them with recyclable products. The culture of recycling can often be as important as the infrastructure that supports it, and while here in the U.S. we have both, in other nations, they have neither.